The Yplatform Vision « Yplatform | global insights – local impact | Connect. Empower. Inspire. 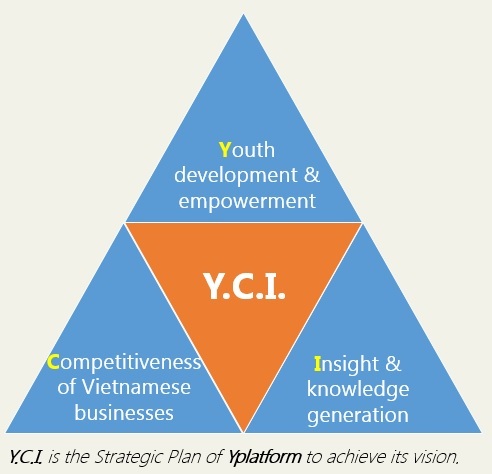 The vision of Yplatform is to create the connecting platform among global talented youth as well as businesses and organizations in the joint effort to strengthen Vietnam’s global competitiveness in different aspects. The motto of Yplatform is: CONNECT. EMPOWER. INSPIRE. The value proposition of Yplatform is: GLOBAL INSIGHTS, LOCAL IMPACT. To develop and empower the Youth. To improve the Competitiveness of Vietnamese businesses. To build up industry Insights/Knowledge tailored to Vietnamese business conditions. Please click HERE to read more about Yplatform. Copyright © 2013 Yplatform Organisation International. All rights reserved.